Even if you’re just starting out in the business as a B2B writer or copywriter, you probably already know B2B companies use email marketing all the time. In fact, I haven’t come across a B2B company yet that doesn’t use email in some way to help promote their products and services. B2B companies use email to stay in touch with subscribers if they have an email newsletter, and of course, the email newsletter itself is email marketing. They use email for prospecting, for sending special offers to subscribers, and invitations to webinars and trade shows. They promote their white papers and their free content offers through email. They use email follow-up campaigns to convert leads to sales. I could go on and on with examples of how B2B companies use email to promote and sell their products and services. As a B2B copywriter, you’re going to have the opportunity to write a lot of emails. And that’s good because it’s a project that pays well. So, what I want to do is give you a copywriting formula to use when you are writing promotional emails. It’s particularly useful for content offers. If you’re writing an email to promote a white paper this formula will work very well. It also works well for emails that directly promote a product. I like using copywriting formulas simply because they are a solid foundation when you’re writing. They help you write faster and make sure you’re covering the most important components of your copy. Using copywriting formulas shouldn’t stifle your creativity. You can still try new things and be innovative. But, when you start with a copywriting formula, you’re more likely to include all the key components in your copy. Let me go through each one of these… And, then I’m going to show you an example of an email that uses this Five-P approach. Always start your email by talking about the prospect’s problem, challenge, need, want, or interest. It could be just a sentence or a whole paragraph. Next, position the product or content you’re promoting as the solution to the prospect’s problem, need, or want. 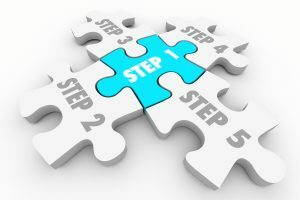 So, in the position step, you’re either going to position the product as the solution or position your free offer as the solution. This section could be one or two paragraphs of your email. In this section, you’re simply providing all the details the reader needs in order to decide to take action. In an email, the action is usually a link to a download or to a landing page with more information. A caution to be careful here. You don’t want to be long-winded and give details the reader doesn’t need at this stage in the process. Remember, it’s just an email. You want to keep it short, and only provide the key information the reader needs in order to make a decision to take the next step. You want to add something to the email to give proof that what you say is true. The easiest way to do that is with a testimonial. If you don’t have a testimonial, there are many other ways to build credibility. You could point to a survey, a study, or an expert opinion. Finally, you need a call-to-action. You’re simply stating what you want the reader to do next. It could be click here to learn more about the white paper, register for the webinar, or to get more information. So, that’s the five-step formula. Prospect. Position. Provide. Prove. Propel. If you’ll use this copywriting formula to write your email, then you’ll have very motivating copy. Now, let me give you an example of an email that follows this structure. This is a lead-generation email from an association that represents sales professionals. They are offering a free white paper called The Nine Timeless Principles of Sales Success. The email will go to their subscribers, most of whom are sales professionals, to get them to download this white paper. It’s frustrating. There are so many selling tips, tactics, and strategies out there. How do you separate hype from substance and answer the most important question of all, what works? The answer is our new white paper, The Nine Timeless Principles of Sales Success. What’s working today in professional selling is based on timeless principles that have been working for over a century. Principles you’ll find explained in detail in this white paper. We’ve also included skill-building exercises, helpful checklists, and dozens of ideas you and your team can put into action right away. And, at 11 pages, The Nine Timeless Principles of Sales Success is a fast read. You’ll want to print copies for your sales team. These nine principles are so powerful, so integrated into buying behavior, that missing just one on a sales call will give the advantage to your competition. So I urge you to click here and request your copy today. P.S. When you download the white paper, check out the three-step prospecting strategy on Page 7. It’s golden. See how the email follows that five-step copywriting formula? Prospect. Position. Provide. Prove. Propel. So, the next time you’re writing a promotional email for a client, use this proven formula. You’ll be on a solid foundation and your chances of creating a very persuasive piece go way up. And, let’s face it, following a formula makes the writing easier and faster too.